Longing for that Breathtaking Smile?Porcelain Veneersmay be the solution. Porcelain veneers are ultra-thin, tooth-colored shells of durable material designed to cover the front side of teeth, permanently correcting gaps, stains, crooked, or chipped teeth. These virtually undetectable wafer-thin shells, also referred to as dental veneers or dental porcelain laminates, have created dramatic cosmetic improvements for many of our patients from Kalamazoo and the Grand Rapids area. Porcelain veneers are similar to Lumineers™ but superior in appearance, creating natural aesthetics with internal shades and translucencies as opposed to painted stains used on Lumineers™. Porcelain veneers are more conservative than dental crowns (which require more natural tooth reduction) and are generally more stain resistant than dental bonding. Merit Dental uses porcelain veneers to repair minor tooth imperfections and defects, conceal old fillings or other aged dental work, and make color enhancements for teeth with permanent stains. Thanks to our state-of-the-art cosmetic imaging technology, Merit Dental’s porcelain veneers patient will be able to better anticipate how their radiant new smile will look after this popular cosmetic treatment. If you would like to arrange a consultation at our Kalamazoo office — serving Holland, Grand Rapids, and the surrounding region — contact us today and see what porcelain veneers can do for you. Sometimes referred to as “instant orthodontics,” porcelain veneers can fill gaps and correct minor tooth misalignments. More convenient than conventional orthodontic treatment, patients achieve a straight, beautiful, healthy smile without the need for metal braces. Porcelain veneers are also useful in restoring chipped or misshapen teeth. Porcelain veneers can be placed to achieve teeth whitening. Porcelain veneers are commonly used to enhance the color of permanently stained teeth. Merit Dental utilizes porcelain veneers to create a healthy, natural appearance and revitalize worn and discolored teeth. Thankfully, recent advancements have provided dentists with natural-looking alternatives to the unsightly metal fillings of yesteryear. Tooth-colored fillings allow for realistic rejuvenation. For patients with existing amalgam fillings or other discolored dental work, porcelain veneers can cover these restorations and restore natural beauty to your smile. With so many cosmetic dentistry uses, porcelain veneers are capable of producing dramatic smile makeovers. Porcelain veneers create brighter, healthier, straighter, gap-free, beautiful smiles. Merit Dental has used porcelain veneers to rejuvenate smiles for hundreds of patients throughout the southeast shore of Lake Michigan. Both porcelain veneers and porcelain crowns are useful in correcting teeth that are extensively damaged due to decay, discolored or permanently stained, fractured, or brittle. However, crowns require teeth to be reduced so the custom-made “cap” can fit over the teeth. Porcelain veneers preserve more natural tooth structure. Since porcelain veneers are made of an advanced ceramic, a veneer’s surface will be very stain resistant. Other dental bonding materials may be susceptible to discoloration — especially when in contact with staining agents such as tobacco, red wine, coffee, or tea. Merit Dental’s porcelain veneer patients have maintained bright smiles years after the procedure. The first step in creating a new smile is a comprehensive exam and consultation. Dr. Magnuson or Dr. Caringella will carefully take into account the patient’s goals as well as their dental history and current condition and needs. If the patient is a good candidate for porcelain veneers, computer imaging technology is used to generate an accurate portrayal of what the patient may look like after the procedure. The procedure begins with Dr. Magnuson or Dr. Caringella slightly reducing the front teeth. An impression of the mouth is then taken and sent to a lab technician who creates the porcelain veneers. 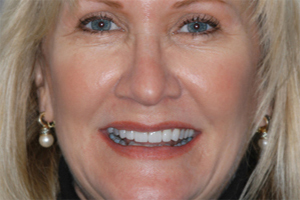 Once the veneers have been crafted, they are bonded to the front teeth. Many of our patients from Kalamazoo and neighboring Grand Rapids have chosen porcelain veneers and are highly satisfied with their durable, beautiful restorations. If you would like to know more about porcelain veneers or if you are unhappy with your smile because of chipped, discolored, worn, or misaligned teeth, contact our Grand Rapids-area cosmetic dentist — based in Kalamazoo — and arrange a consultation. 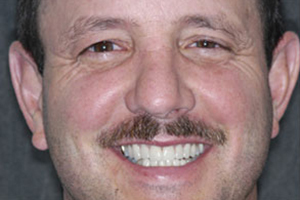 Porcelain veneers patients have achieved dramatic smile improvements. 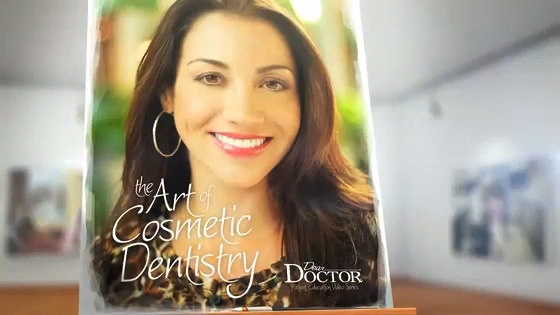 At Merit Dental Design we utilize the most advanced materials and techniques available. Arrange a consultation with Dr. Magnuson or Dr. Caringella and their skilled auxiliary staff today if you’re interested in porcelain veneers or any of our other contemporary dentistry options.